We’ve all done it sketched up a car and dreamed of one day turning that sketch in to reality with a little help from a Lottery win, a dream consigned to the vigour of youth and put away into our memories. Well for Dominique Billiote a French car designer in his early 20's took his sketches and and turned them into a car, pretty much single handedly no doubt to showcase his skills. 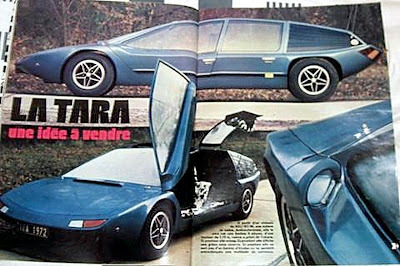 He built a car called the Tara King, it even appeared in motoring magazine Auto-Journal in 1973, who were amazed by the cars modern shape and 4 lifting gullwing doors, however the interior seemed to be lacking to the magazines reporter due to the low seats and dial positions. 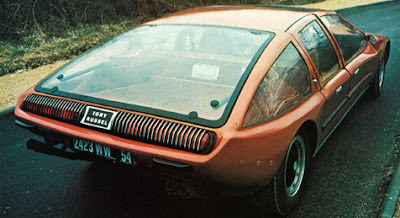 The engine fitted though was as up to date as possible being (a the time) the future of the combustion engine, a Wankel rotary out of the NSU Ro80. 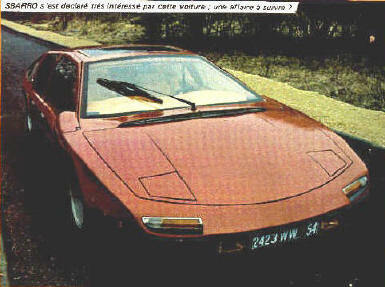 Dominique tried to secure a builder for the car by showing it to both Ferrari and Lamborghini but failed to sell the design. He then tried to secure finance to build a small production run. Again he failed to pull the investors together and the Tara was put to bed. Jump forward 8 years and Dominique met Tony Russell and entrepreneur who had experience building cars and he saw some potential in the Tara. An agreement was reached and Tony took the Tara prototype and rebuilt it. 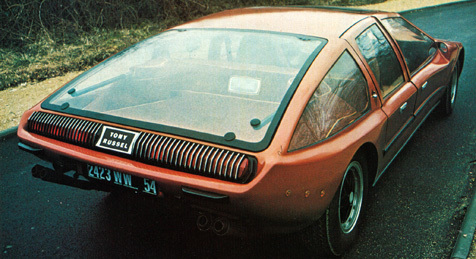 Along the way he also renamed the Nancy, and rebadged it as a Tony Russell car, before re-releasing it on to the public in 1981. 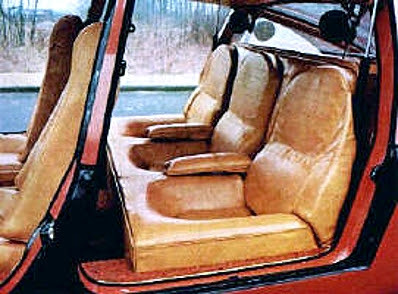 The changes undertaken were some cosmetic, the most obvious being the rear section being opened up, but the interior was where most of the effort was put. He also solved some of the inherent issues with the prototype while retained the Ro80 engine. Unfortunately despite the car still looking fresh it failed to find a manufacturer to take it on. 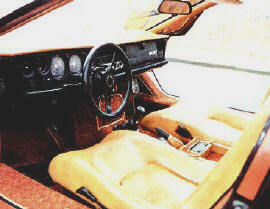 As such this remains the only car built, part prototype part finished fully running car. 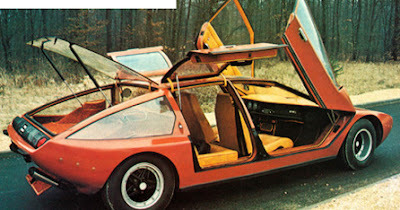 For a car that had two bites of the cherry I still think its a shame that it never realised it production run or potential. Maybe an ultra smooth 4 door sports coupe was just to ahead of its time. I would love to see those doors though sat on the (fingers crossed) 4 door Lamborghini when it goes into production, but that probably just a dream. Interesting that he called it the Tara King. For those unaware, Tara King was a TV character who appeared in the last season of the British spy series The Avengers in 1969, played by Canadian actress Linda Thorson. In England and the US, Tara King was never quite as popular as her predecessors, Emma Peel (Diana Rigg) and Catherine Gale (Honor Blackman), but in France, both Tara and Linda became hugely popular and in the early 70's Linda and co-star Patrick MacNee did a series of champagne adverts in France, so it would seem likely that's where he got the name from.